The Sisseton Family Learning Camp on the Lake Traverse Reservation started in 2008 and was held at the Goodwill Presbyterian Church. The camp moved to the Tiospa Zina Tribal School in 2010 and was held in conjunction with the school’s summer school program at the Veterans Memorial Youth Center. This camp was put on hiatus at the end of the 2012 camp season. The camp restarted in 2018 as the Sisseton Family Learning Camp (SFLC). The camp is held at the Veterans Memorial Youth Center and integrates with their summer camp program. The camp is 4 days long, Monday to Thursday, from 9:00 AM until 1:00 PM. Campers are divided into six age groups, incorporating children from age 5 – grade 5. Camp Counselors and Station Leaders are comprised of youth in Middle/High School and Adults. In the afternoon youth and adults have the option to participate in a work project – details coming soon! The Baltimore and Dakota Presbytery participants have many opportunities for fellowship during the week. 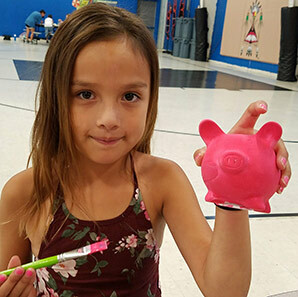 We are still working on finalizing these opportunities for the Sisseton camp, but other Baltimore Dakota Learning camps have participated in an inter-generational kickball game followed by a pizza dinner or a movie night and sleep over. There are many churches in the area who will participate in the camp, including Iyakaptapi, Buffalo Lake, Long Hollow, and Lake Traverse. We will worship at one of these churches Sunday morning. Sisseton offers a family experience where entire families are invited to participate as either campers or volunteers. We are seeking 20 volunteers and 10 campers for the SFLC camp. Volunteers will be comprised of a mixture of middle, high school and college students, parents, and other adults of all ages. Camp staff must have completed one year of middle school (6th grade) by the end of the school year. Some background with children is helpful as camp staff members need to be comfortable around children and interested in forming relationships with the campers and their families. Mandatory staff training is provided so that all staff members will feel prepared for a successful learning camp week. The training will include mandatory child protection training, mandatory cultural sensitivity training, staff building experiences, and information regarding the camp. Volunteers stay at Tiospa Zina Tribal School or at a local motel. In general, family units and teens are expected to stay at Tiospa Zina. Various field trip opportunities are available for volunteers. 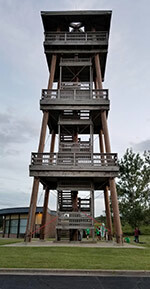 Possibilities include visiting Nicollet Tower, swimming at one of the many nearby lakes, and going to a Powwow or rodeo.